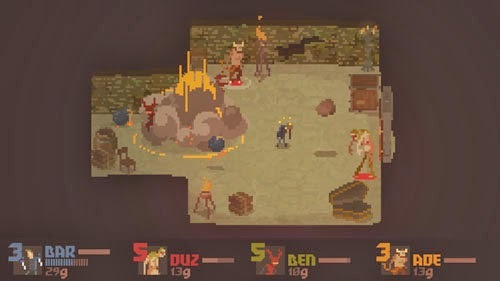 Crawl, from developer Powerhoof, is a multiplayer dungeon crawler where one player controls the hero, and the other players control the monsters. Up to four players can join in on the action simultaneously, and the creature who manages to kill the hero instantly takes his place and becomes the hero himself. All of the creatures take the form of ghosts that wander the dungeons and can manifest themselves as various corporeal creatures, or even inhabit traps. In order to survive, the hero must level up and increase his stats while collecting weapons to dispatch the rats, spiders, demons, zombies, and dragons hat he faces on his quest through a procedurally generated dungeon. Crawl is now available for PC, Mac, and Linux via Steam, PS4 via PSN, and Xbox One via Microsoft Store.